Cattle exporter North Australia Cattle Company has notched another first after successfully completing a shipment of 2200 cattle from Port Alma near Rockhampton to China over the Christmas/New Year period. 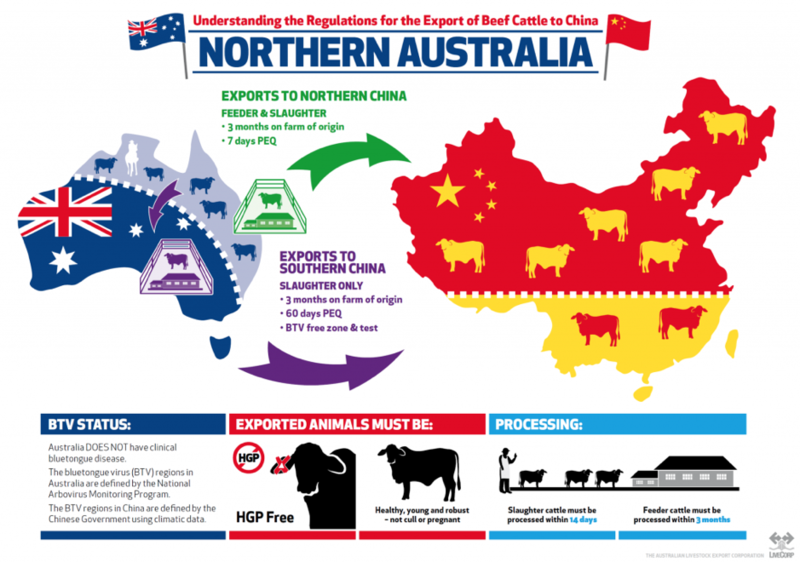 NACC was the first Australian cattle exporter to deliver cattle to China under the feeder/slaughter cattle protocol signed in 2015 and one year ago became the first exporter to ship cattle to China from Northern Australia. On Christmas eve NACC sent a shipment to China from Port Alma, representing the first live export cattle shipment from the Central Queensland port in more than 20 years. Tom Kennedy from Elders Townsville oversaw the sourcing of cattle for the shipment which comprised 2200 grassfed and grainfed cattle weighing 500-650kg drawn from Ingham in the north to Alpha in the west and Dalby in the South. The cattle were quarantined at the Olive family’s Raglan pre-export quarantine facility 70km from Port Alma before departing on Christmas Eve. Chinese bluetongue protocols allow the import of cattle from northern Australia to northern China for a short annual window during the Chinese winter. They also require that cattle have a spent a minimum of three months on the farm of origin prior to purchase and spend at least seven days in quarantine prior to export, in yards that have been free of livestock for seven days prior to the start of the quarantine period. Mr Kennedy said the rules meant Port Alma was well suited as a staging post for China. “Port Alma was always mentioned and talked about but the China market opening made it a viable option because of the seven day quarantine and the rule that yards must be empty of all livestock for seven days. With competition from two major meatworks operating in Rockhampton it is not expected that Port Alma will become a major export port for heavy cattle, but producer representatives have previously said they see its value as an additional market outlet with potential to add a floor to local cattle prices. Mr Kennedy paid tribute to NACC managing director Patrick Underwood and to the Olive family, saying their positive attitude and hard work had made the first shipment from the port in 20 years possible. “Our local Elders branches also got behind it, along with support coming from Landmark and Ruralco, so it was a combined effort,” he said. The shipment included several breed types ranging from grainfed F1 Wagyu cattle from Proston to straight Brahman cattle from Ingham. The majority were Droughtmaster cross cattle, with some Brangus/Hereford types also shipped. Mr Kennedy believes there will be opportunities to do more shipments from Port Alma in future. Por Alma has been actively canvassed as an alternate live export port for several years, given its close proximity to the large Central Queensland cattle supply area and to several modern holding yards around Rockhampton, and also because of the access the port provides for livestock trucks to unload and turnaround. 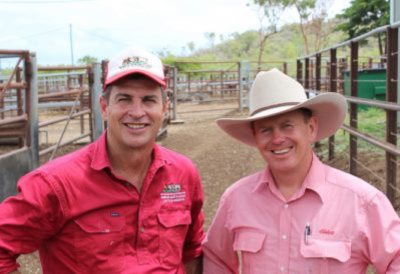 However the prospect of exporting cattle from a port so close to Rockhampton has also attracted pushback from the processing sector, the meat workers union and the state member for Rockhampton and former agriculture minister Bill Byrne, on the grounds the proposal would threaten local meatworks jobs. Good on everyone for finally getting it sorted and done. There has been talk for years about using Port Alma to shift cattle, but it has only been talk. As for the local meatworks, well they will have to find a way to compete. I was told the order for this shipment was steers and bulls over 500kg in slaughter condition. The money on offer I was told was somewhere around $3.20, less yard and feeding fees. Given the weight was the only requirement, looking at a Rockhampton online Teys grid for a 6 tooth steer over 300kg the best they are offering is $5.30 at the moment, plus they have to fit in a fat range and all the other requirements as well. A 320kg dressed steer might get you $1700 at the meatworks, while the shipment you might have got $1900 (600kg steer @ $3.20) less fees. A fair difference. I know local abattoirs are saddled with horrendous regulations that cost them dearly so they simply can not compete with China. How long until all cattle are processed off shore and the product re-imported. Much liek nearly every other industry in Australia. Perhaps the ones against live export taking jobs should lobby government to reduce the regulatory burden placed upon abattoirs rather then try to stop live export competition. Congratulations to Tom and Patrick … Well Done, lads ! !